China’s national economy continues to swerve; sometimes decelerating-but-steady and other moments looking to some observers like it could be headed for a crash. Jiangsu’s situation appears to be much the same, with many local housing markets maintaining a torrid pace while service industries in Nanjing and nearby seem to be slowing due to the recent bad weather. Yet it seems somehow appropriate to the complexity of Chinese local governance that Beijing and Nanjing are issuing very different warnings about one of the more promising sectors of the economy, especially for low-income residents: the second-hand car market. For Beijing, the issue is obedience to policy instructions. The central government is insisting that provincial governments implement a policy directive passed by the State Council at the end of March to allow purchasers of used cars to relocate their vehicles when they themselves move to a new province. Without that regulation, owners who’ve bought a second-hand automobile within a 50 day period would be driving and housing that vehicle illegally; they’d also have to pay taxes and fees commensurate with its value to the province they moved to, possibly in addition to where they purchased the car originally. There would be little reason for low-income consumers priced out of the new car market to buy a second-hand automobile if they couldn’t transfer title and registration when they joined China’s great urbanization wave. So the State Council directive was designed and decided upon to help that situation, and to “accelerate the formation of a unified and national organization of the second-hand car market”—a market that, according to the report in People’s Daily, deserved a bit more of a boost, as in 2015, the total amount of second-hand car trading in China was 9.41 million, far less than the 24.5 million new vehicle sales recorded. It made good administrative sense to issue this order, and that way encourage relocated residents (families looking to move up to middle-income status, retirees, farmers who’ve sold their land, for example) to aid China’s faltering auto industry, especially as many second-hands cars sold are Chinese brands. But as of mid-July, 17 out of China’s 22 provinces (23, if one includes Taiwan; 34, if one is counting administrative units) haven’t bothered to comply with the State Council’s directive—even after Beijing issued a second order in June commanding them to follow the first one. Beijing frequently faces these sorts of policy challenges. One difficulty lies in the nature of the directives the State Council issues. In this instance, the orders to provinces are in the form of a意见--a formal opinion or observation, drawn up to reflect the consensus of the State Council to take action on a particular issue. Beijing can direct and even demand; but because so much of China’s policymaking power is distributed across many agencies, offices and levels, what gets issued often isn’t implemented. Adding to the problem is that some of China’s provinces as well as a few major cities are allowed exemptions for environmental reasons, to make sure that cars there meet recently adopted higher clean air standards for their areas. However, as Deputy Secretary General of China Automobile Dealers Association, Luo Lei [罗磊] notes, so many provinces not implementing this particular policy is “representative of ‘regional blockades’ [地区封锁]”—that is, when local governments find excuses to delay and obstruct Beijing’s authority for their own reasons—such as wanting the right to collect higher taxes and other local fees on relocated as opposed to resident vehicles. As another Chinese official put it, some of the provincial authorities are simply playing “word games” [文字游戏], findings ways to reinterpret the new rules just to avoid having to implement them. Nanjing’s own problem with second-hand cars isn’t structural or strategic, but seasonal: It’s worried that consumers looking to buy a used car here locally won’t, because they’re scared they’ll end up purchasing an automobile waterlogged from recent floods that hit the region. 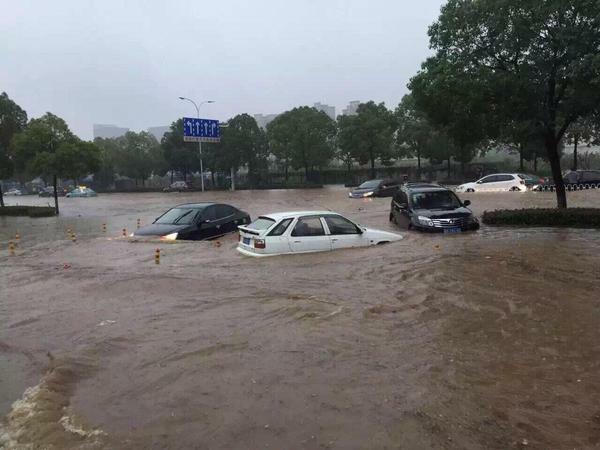 Nanjing officials estimate that “flood cars” [水淹车] have been flowing into the used car markets here since the deluge of heavy rain began, with at least 1 in every 5 cars in local repair shops having experienced some water damage. Insurance companies investigating claims frequently tow flooded vehicles to a central location; some of those cars are then sold, if the owner thinks that the cost of repairs is too high. Others are placed on the market without necessarily noting that they were soaked in some way. 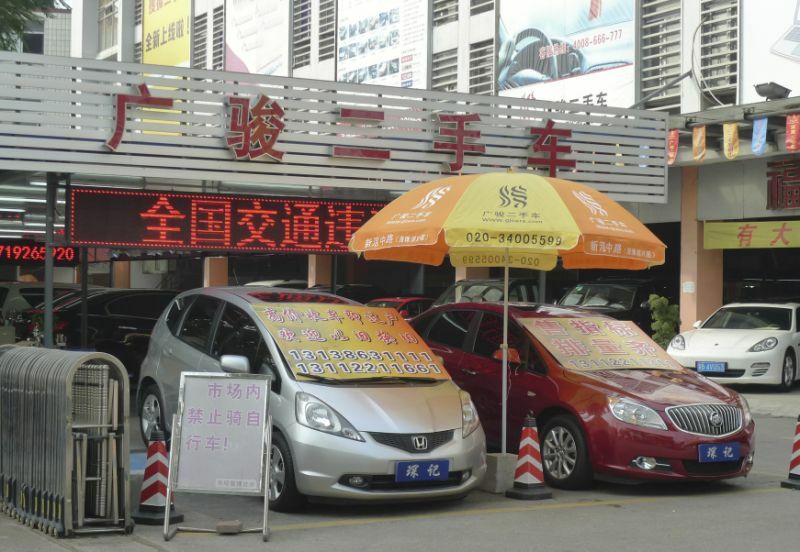 The commentary appearing in Nanjing media seeks to ease the minds of prospective buyers of second-hand automobiles by offering clear instructions about identifying cars that were swamped by higher waters, so that consumers won’t be taken advantage of—and, perhaps more importantly, don't think they will be. Nanjing officials aren’t pursuing those goals with inspections of repair shops, sweeps or supervision of used car markets, or making sure that sellers strictly cooperate. They’re offering advice to the public, rather than reminding residents that they’re in command. Authority is assumed, not imposed. At most, Nanjing is playing the part of nanny, believing that citizens have at least some faith in the abilities of their local officials to look out for them. There’s no exact equivalency here. Beijing is attempting to see central directives enforced, while Nanjing is looking to make the local more liveable. Differences in scale deserve to be kept in mind. Still, governance comes in many forms in China. Beijing, especially under the present leadership, insists on driving all the time. Nanjing, for its part, often offers directions from a different map. Given China’s complex social challenges, it’s still not clear which will be the road best taken.